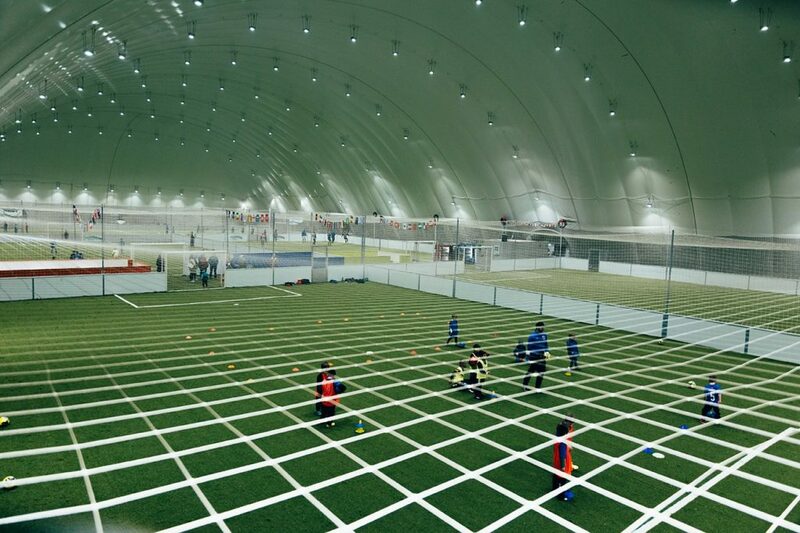 Our indoor soccer dome in Dublin isn’t just limited to Football. Although the state of the art pitches are perfect for a game of soccer, there are many other activities you can enjoy. Make your child’s party or your friend’s stag do extra fun by taking part in our additional sports. A fun filled minimal contact sport! Players must evade being tagged by their opponents in order to score. Tagging is when a player from the opposite team stops the person with the ball by pulling the tag that is attached to them. This fun sport is a wonderful way to enjoy rugby without the physical contact, so there is little risk of injury; a perfect sport for the accident prone! It is as fun as it sounds! Usually there are seven players per team and each team must line up at their respective end zone line to begin the game. The defense then throws the frisbee to the offense to start. Points are scored when the offense completes a pass in the defence end zone. You can’t run with the frisbee and players have to throw it within 10 seconds of catching it. If it is dropped or goes out of play, the frisbee then automatically goes to the other team! This fast paced game is great fun and will certainly bring out your competitive side. Segway polo? Like normal polo, but take away the horses and substitute them for segways, and you’ve got segway polo! Each team must try and score in their opponents goal using their mallet, whilst whizzing around on a segway. This is a fantastic team sport and a fun way to try segway-ing too! For those unfamiliar with segways, they are two wheeled, self balancing transporters (and a lot of fun!) Segway polo is growing more and more popular and is an exciting new sport to try! This activity is a great idea for an office outing or part of a corporate event. Find out about our corporate events here. Ok, so this is football related, but every Friday we run our after school football fun session. 90 minutes of uninterrupted football, tea and coffee available for parents and only 5 euro per child. A great way for your child to let off some steam after a long week of school. The Friday Fun session runs from 3pm to 5pm. These fantastic sessions are a great chance for your child to practice their skills! Find out more here. These action packed activities can all be enjoyed under the wonderful roof of the dome, so you won’t have to worry about the weather spoiling your special event. Enjoy refreshments at our vending machines, or if you’re having a party, contact us about catering options. For stag parties, we also have a bar available! Find out more about our extra activities here. If you’re looking to have your child’s birthday party at our soccer dome, take a look at our packages here. Or if you’re organising a stag do, take a look at our prices and what’s included.